Teaches you the basics of CrossFit in a smaller and quieter setting, once you graduate you can move on to the regular classes! 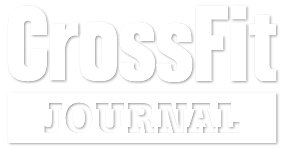 CrossFit Broadway offers 1-on-1 coaching from our fully qualified trainers. All Private Coaching packages come with a Nutrition and Diet assessment as well as a personalized program for you to achieve maximum results in minimum time. 10% discount for all Police, Firefighter, Active Duty Military, Teachers and full-time Students. Must provide valid ID at sign-up. This discount is only applicable to the “3 x Week” and “Unlimited” memberships. A discount will also be made to any and all CIPP’d rugby players. We have access to CIPP #’s off the internet in-house, so simply come in and mention you are a rugger.